Friendly Fire, Felmini, Harper, Nobrand, Manjerica, Lemon Jelly, Only2me, Maria Maleta, and many other brands! You name it, Feeting Room has it! Last weekend I went to Feeting Room, a really cool store here in Porto, and I was surrendered to the variety of shoes and brands that I found. I've been dating the Lemon Jelly collection for months, I've always wanted to have the perfect pair of shoes for rainy days and I love the ones I brought with me, I'm looking forward to show you guys! The good news is that in partnership with Feeting Room, until February, by using the code fflores4tfr on your online purchases, you have a 10% discount! It's the perfect time to buy the shoes that you always wanted or to offer a special gift now for Christmas. Lots of kisses and happy shopping! Friendly Fire, Felmini, Harper, Nobrand, Manjerica, Lemon Jelly, Only2me, Maria Maleta, e muitas outras marcas! You name it, a Feeting Room tem! No fim de semana passado passei pela Feeting Room, uma das minhas lojas preferidas no Porto, e fiquei rendida à variedade de sapatos e marcas que encontrei. Já andava a namorar a colecção da Lemon Jelly há meses, sempre quis ter os sapatos perfeitos de chuva e gosto imenso dos que trouxe comigo, estou ansiosa por vos mostrar! 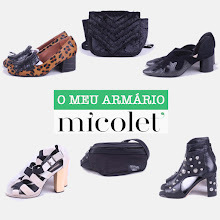 As boas notícias são que em parceria com a Feeting Room, até Fevereiro, ao usarem o códigp fflores4tfr nas vossas compras online têm direito a 10% de desconto! Altura ideal para comprarem os sapatos que estavam a namorar ou oferecerem uma prenda especial agora no Natal. Muitos beijinhos e boas compras!